(Broomfield, CO, June 2, 2016) – PhoneSuite, a leading provider of telecom solutions designed exclusively for the hospitality industry, is pleased to announce the launch a of PhoneSuite DIRECT, which now gives hoteliers the option to buy their VoIP platform and have installed Factory DIRECT; reducing “margin stacking” and ensuring quality, worry-free deployments. Recently hired to head up the new division is industry veteran, Keith Konicki. PhoneSuite offers high-quality, affordable products and upscale service for any size or type of hotel, chain or management company. Its ground-breaking Voiceware platform is a software-based core that’s compatible with the latest full-featured SIP phones from a variety of manufacturers, yet still works with a hotel’s existing standard analog guestroom phones. “For over 25 years, PhoneSuite has supported its network of over 250 dealers with world-class technical support and service,” said PhoneSuite President Frank Melville. “However, we have heard from national brands and large hotel management companies that they are looking for a single source for a streamlined, easy-to-implement hospitality voice solution for their hotels. Konicki has been actively engaged with the hospitality technology industry for the past 20 years. As a supporter of HTNG since its inception, he has served on a number of its workgroups, including currently co-chairing the Cloud Communication Workgroup. While with Systems Design & Development (SDD) as Director of Sales, Konicki played a key role in the development and launch of one of the industry’s first SaaS/Cloud-based service offerings in 2000; both for Voice and HSIA. More recently, he worked with ComNet Communications, helping it become a leading national onsite resource provider for Hosted Voice, VoIP, HSIA, GPON and Infrastructure installations to the hospitality industry. “Hotel communication is becoming more complex and is ever changing. 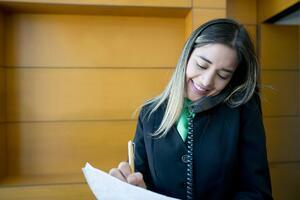 Hoteliers have concerns about making the correct choice in their next PBX decision. I truly believe PhoneSuite DIRECT provides the right platform with the right services at the right price at the right time for our industry,” said Konicki. For more information on PhoneSuite, visit www.PhoneSuite.com or call 800-245-9933 to schedule a demonstration. For over 25 years, PhoneSuite has leveraged its expertise in communication technology to provide high-quality, low-power consuming products. PhoneSuite is dedicated to the design and manufacture of products exclusively for the hotel industry, and is proud to have installed over 5,000 systems in properties ranging from independents and B&Bs to franchised, five-star resorts throughout the world. Our products, combined with our nationwide dealer support and engineering expertise, create reliable communication solutions that meet or exceed all hotel requirements. PhoneSuite is a Preferred Vendor for several major hotel chains, an Allied Member of the American Hotel & Lodging Association (AH&LA), a Founding Sponsor of the Asian American Hotel Owners Association (AAHOA), a member of Hotel Technology Next Generation (HTNG), and was recognized by the Denver Business Journal as a Top 25 Fastest-Growing Small Private Colorado Company.